Around this time last year, I reported on the opening of Deluxe Shaving Co. They have a unique line of shaving cream. Fast forward to present day Anthony has expanded on his product line. Not just selling shaving cream his line now includes Shaving Soaps, and After Shave Balms. Let me start with the shaving soaps. The current offering includes British Green, Deluxe 13, Dolce Vita, Espresso Amaretti, Mods, Light Mods, Rockers, and Speedster. In last years’ article Anthony hinted on Mods and Rockers when I asked him about what future products ideas he might be working on. Also introduced are the aftershave balms but I only see them paired with the shaving cream scents. Again in last years’ article Anthony told me he waits to sees what’s popular before he commits to an aftershave. So I wanted to do a video review for Cool Daddy-O it certainly deserves it. 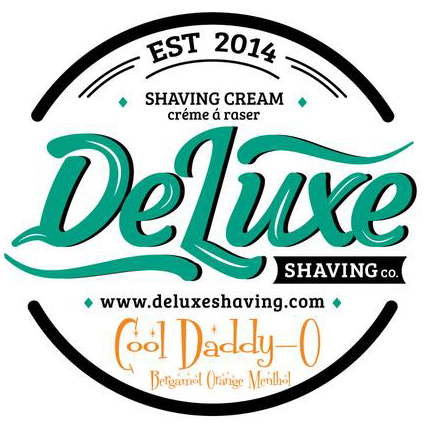 I just wasn’t ready for having my own video channel but just like Deluxe Shaving Co we grow. I finally got the nerve to be in front of the camera and my channel was born. So I hope you enjoy the video as much as I had making it but the real joy was the shave. I just Love Cool Daddy-O.